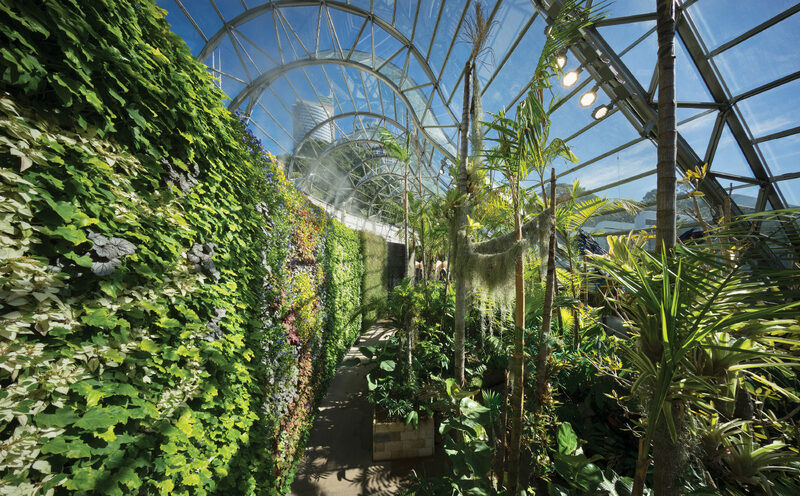 The Calyx is an exciting and inspirational initiative at Sydney’s Royal Botanic Gardens that aims to increase the community’s awareness of the importance of horticulture and scientific plant research. The Calyx facilitates the exhibition of a varying range of displays and employs new, innovative interpretation and horticulture displays. It also allows for universal access and improved amenities, and an expanded formal education program. The Calyx is a unique facility requiring building services that can deliver a broad spectrum of climatic conditions for plants from alpine regions through to rainforest environments in order to showcase its seasonally rotating, high-impact horticultural displays. Root Partnerships was initially appointed to align the project to the available budget and project objectives, and to develop definition of the design and a preferred procurement methodology to suit a revised approach. Subsequent to this, and following a competitive tender, Root Partnerships was appointed as the project manager to deliver the facility. The project was delivered within an environmentally sensitive site, and strict monitoring and controls were required to enable its successful delivery. Re-purposing the existing structures and the development of the new building components to achieve the client’s desired outcome was challenging and required extensive design and modelling to enable suitable glazing selections so that plant growth parameters could be met.